"Humankind Was Born In The Seas And Is Now Combing Back Here To Die." 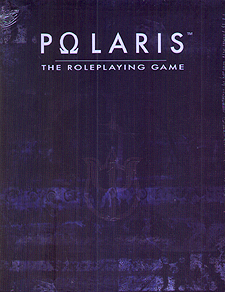 Discover the post-apocalyptic underwater sci-fi world of the Polaris RPG by Philippe Tessier. For centuries, wars and climatic catastrophes have ravaged the surface of the earth, making it uninhabitable by all but the mutated and monstrous. Humanity, searching for refuge, combs the world's oceans and finds sanctuary... and more. Welcome to Polaris.